Tired of visiting clinics and wasting precious time falling in line? With MediCard's My Pocket Doctor, you can now have instant consultations at the comfort of your home or office. This game-changing My Pocket Doctor card is so easy to use. Visit the My Pocket Doctor website or download the app on your mobile phones and register. Wait for confirmation call from a nurse to complete the one-time registration. After the registration, the nurse will call the member for assessment to schedule the consultation with one of their doctors. A medical doctor will call the patient for a check-up and give prescriptions or instructions. Video call via webcam can also be done during medical consultation for cases that need visual assessment such as skin rashes. The medical doctors and staff at My Pocket Doctor are highly competent and well-trained from Europe and the Philippines who can cover up to 70% of all health issues in a consultation and are available 24/7. Members are thus ensured that they have madical access any time and any day of the week. This card is available at MediCard's selected clinics and will soon be available at MediCard's online store. 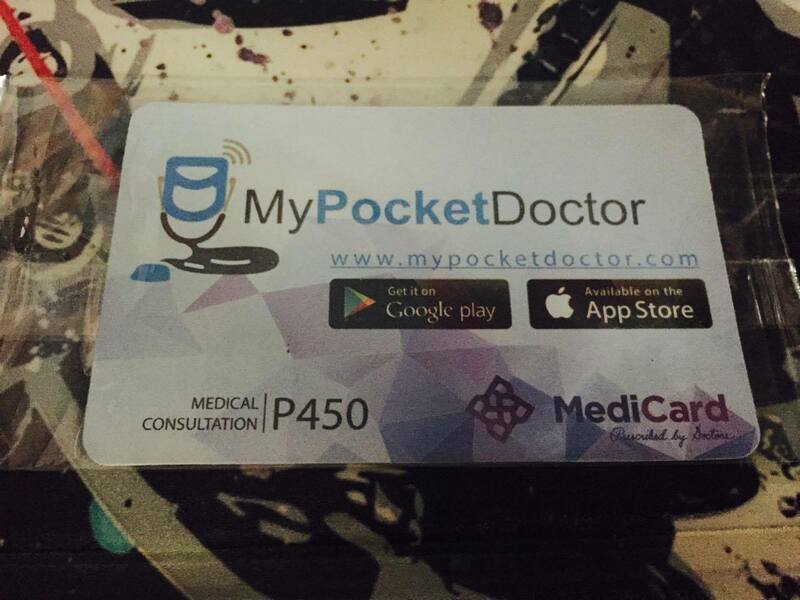 My Pocket Doctor retails at P450.